Illuminate your brand and location, day and night, using lighted cabinet signs. Also commonly called “wall” or “box” signs, cabinet signs are a traditional form of illuminated signage. Cabinet signs allow for an effective way of utilizing large copy area and eye-popping graphics. The background of the sign can be the element that illuminates and the copy can be either translucent (lighted) or opaque (non-lighted). 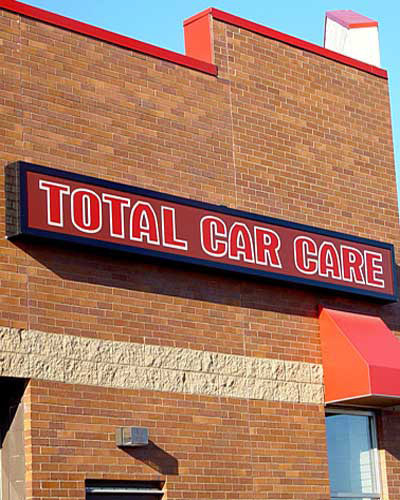 Strong and durable, cabinet signs can be used when small letter size or graphical elements make the use of channel letters impossible.